German weapons that were available for Operation Sealion were basically those that had been available for the Invasion of France (Fall Gelb). These are so well documented that there is no need to cover them here. What I will describe is those special weapons that were designed for amphibious operations as well as any new weapons that arrived after the invasion of France started but which might have been available in time for Seelöwe. After the collapse of the allied armies in France, the Wehrmacht started planning for the invasion of Great Britain. 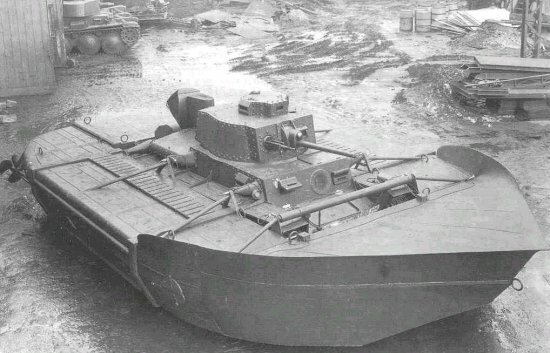 It was thought was that no amphibious landing would succeed without tank that could support the beach assault, so a number of amphibious and submersible conversions were tried. Tests were carried out with the Pz Kpfw II and 38(t) as amphibious tanks and the Pz Kpfw III and IV as submersible tanks. Of the four tank battalions, two would form the 18th Panzer Regiment and the other two the 28th Panzer Regiment. During the first hours of Operation Barbarossa, these regiments were used to cross the Bug river. Conversion to submersible tanks was done to both Pz Kpfw III and Pz Kpfw IV tanks. 168 Panzer III (ausf F, G, H and several commander Pz.Bf.Wg. 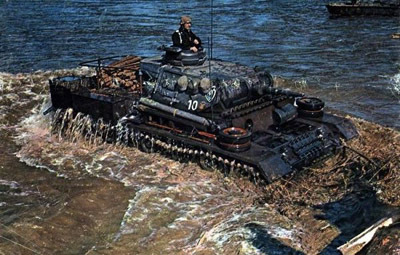 ausf E) and 42 Panzer IV (ausf D) were converted to the submersible version. The submersible tanks had all the external openings sealed with a waterproof compound and the space between the turret and the hull was made tight using an inflatable rubber loop. Rubber caps covered the commander's cupola, the gun mantlet and the hull machine-gun of hull. These could be removed from inside using an electric detonator. The driver's visor was made watertight using a special metal cover with a vision block. Air was provided to the engine by a flexible 18m long 20cm diameter "snorchel" pipe with an attached buoy, which held it on the surface of the water, allowing a maximum operating depth of 15m. The buoy also mounted the wireless antenna. The exhaust fumes exited the tank through by a large vertical pipe with a non-return valve. To pump out water that could enter the tank, an additional evacuation pump was installed. The crew members had individual breathing aids borrowed from the submariners. The tank could operate under water for 20 minutes and had a maximum submerged speed of 6km/h. 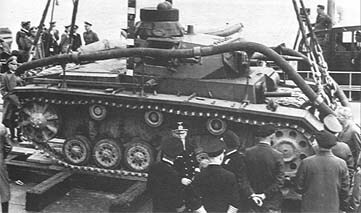 Tauchpanzer III being launched from its parent vessel. 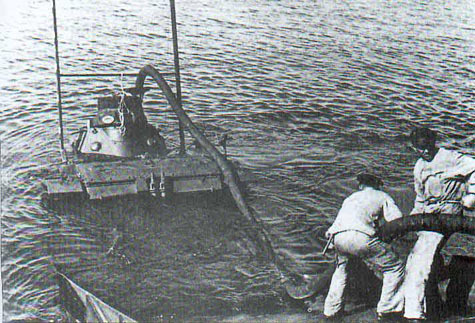 Tactics were developed to launch the tank from its parent vessel at a suitable distance from the shore using either a hinged ramp or a crane. A gyro-compass was fitted for submerged navigation. Additionally, radio instructions from the parent vessel would be used to help the tanks navigate to the shore. Between July and October 1940, 168 Pz Kpfw III tanks were converted to Tauchpanzer III. Of the 160 were fighting tanks of Ausf F, G and H. The other 8 tanks were Panzerbefehlswagen Ausf. E command tanks. At least some of these tanks were armed with the 5cm KwK 38 L/42 gun which had not been issued in time to see service in France, but could have made a noticeable difference when faced by British armour. A Panzerbefehlswagen - note the antenna on the rear deck. Starting in July 1940, 48 Panzer IV Ausf D tanks were converted to Tauchpanzer IV. 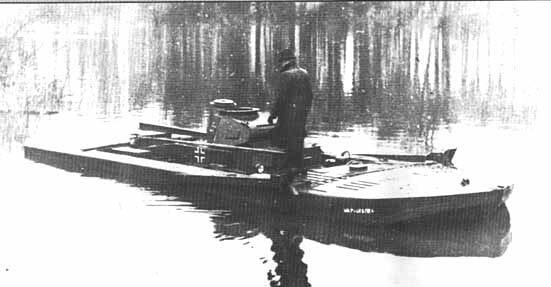 The Schwimmpanzer II or Panzerkampfwagen II mit Schwimmkörper was a conversion of the Pz Kpfw II with floatation tanks which permitted travel on the water surface. It was planned that they would swim ashore from their parent vessel lying offshore. The flotation tanks were attached on extensions to the track return rollers, with propulsion being provided by a propeller taking power from the drive sprocket. The inside of the tank was divided into three watertight compartments. It had a top speed of 10 km/h afloat. 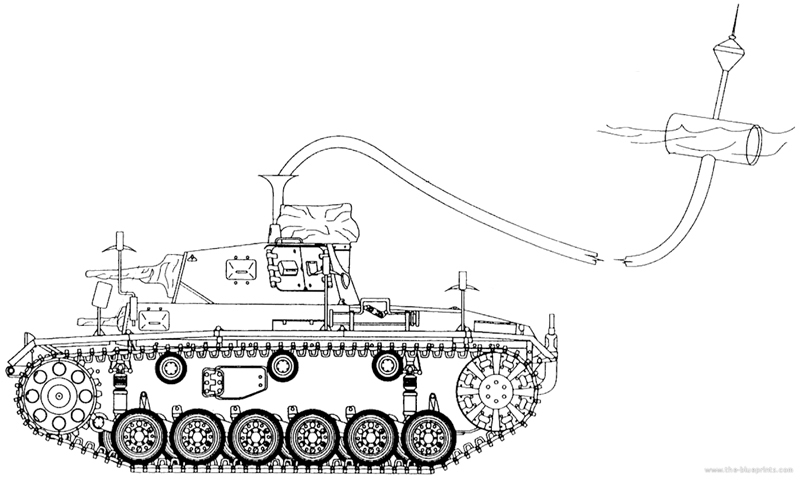 One advantage possessed by the Schwimmpanzer over Tauchpanzer versions was that it could use its guns during the landing. It was even planned for some schwimmpanzers to retain their floats after the landing to facilitate crossing of the Royal Military Canal; a 28 mile canal stretching from Hythe to Cliffend in East Sussex. 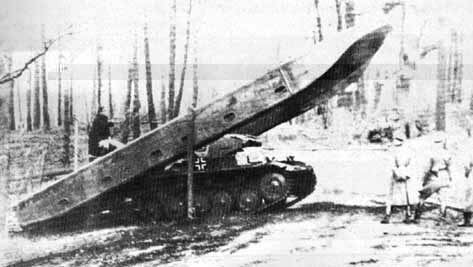 Tests were also carried out to add floatation tanks to the Pz Kpfw 38(t) to convert it to an amphibious tank. It does not appear that any large numbers were so converted. The Panzergranate 40 was an Armour Piercing Composite Rigid shot with a sub-calibre tungsten core and a mild steel body with a plastic or alloy ballistic cap. The shot is of a lighter weight than the normal shot of the same calibre and thus has a higher muzzle velocity. However because the shot is lighter but still has the same overall size it has poorer ballistic qualities, and loses velocity and accuracy and penetration at longer ranges. The only Pzgr.40 shot produced in time for the French campaign were 3,7cm for the 3,7cm L/45 KwK36 tank gun or the 3,7cm PaK 35/36 anti-tank gun. Reports by OKW show that 7,440 3,7cm Pzgr.40 rounds were fired out of a total of about 70,000 (i.e. approx 10%). The 4,7cm PaK(t) on the Panzerjäger I received the Pzgr.40 in July 1940, the 2cm Pzgr.40 was not introduced until later in the year. Both of these could have been available for Operation Sealion. Other Pzgr.40 shot, such as the 3,7cm KwK(t) and 5 cm KwK, were not introduced until May 1941; too late for the Invasion of Britain. It is not unreasonable to assume that the Tauschpanzer III and Schwimmpanzer II leading the beach assault would have been provided with a good proportion of Pzgr.40 shot. A comparison between the performance of the Pzgr.40 (APCR) is shown below.